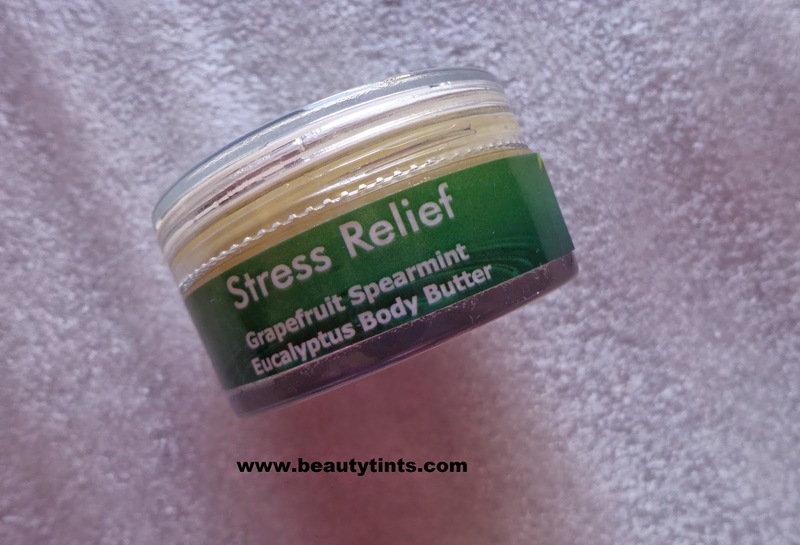 Today I am reviewing Navarasas Stress Relief Body Butter with Grape fruit,Spearmint and Eucalyptus,which I received sometime back and have been using it from then.It has an amazing Spearmint fragrance which lingers for long time. Price and Quantity : INR 1599 for 400 gm. You can buy it here. 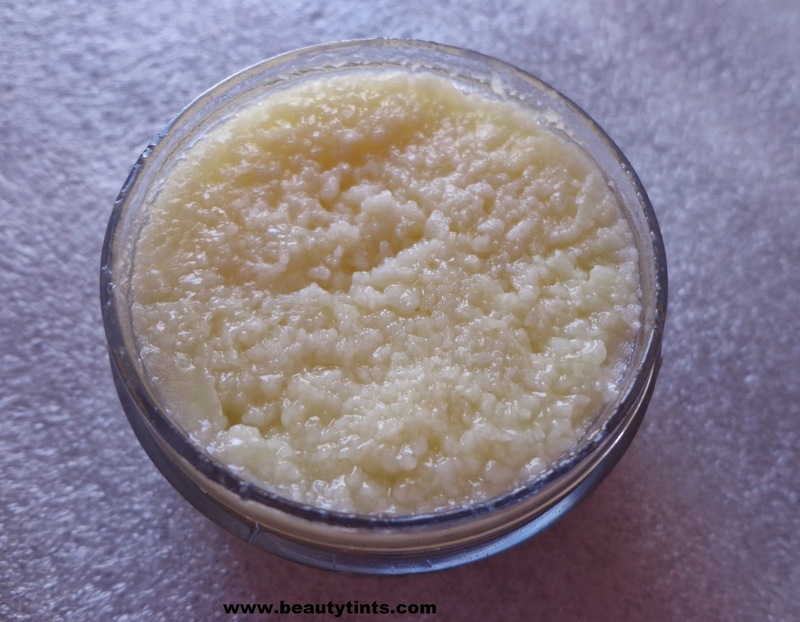 Usage : Apply on to skin,Massage well for absorption.Avoid contact with Face and Eyes. 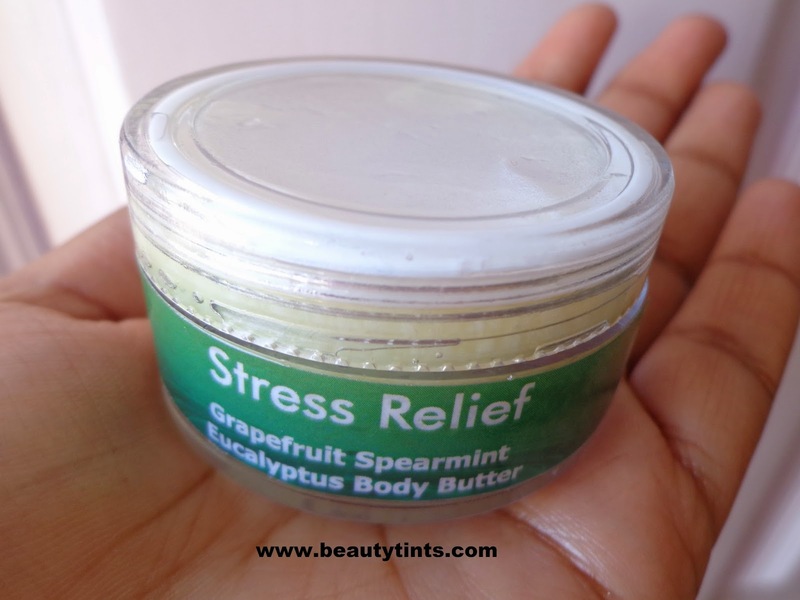 My View on the product : This Body butter has a unique texture,which looks like freshly prepared Kalakand.It is granular in the tub but when applied turns into smooth oily texture and gets absorbed completely into the skin by just rubbing it over the skin.It has an amazing and super refreshing spearmint fragrance with a hint of Eucalyptus.The fragrance instantly relaxes the mind and nerves and relieves the stress.It is very light on skin with out being greasy or heavy on the skin.It hydrates the skin for long hours.A little goes a long way and one tub will really lasts for a very long time.It is enriched with the goodness of Stress relieving ingredients like Spearmint,Grape fruit,Eucalyptus along with skin nourishing ingredients like Sweet Almond,Coconut oil and Vitamin E.On continuous usage,it helps in making skin bright and radiant.It is free from artificial and harmful ingredients. 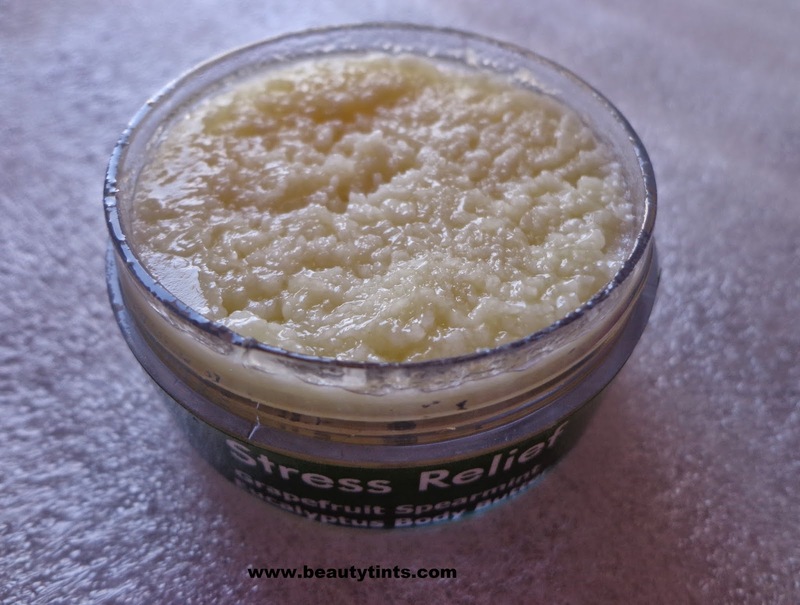 As the name suggests,this body butter relieves the stress to a great extent.A must try for all those working Women as well as all those who get strained a lot. 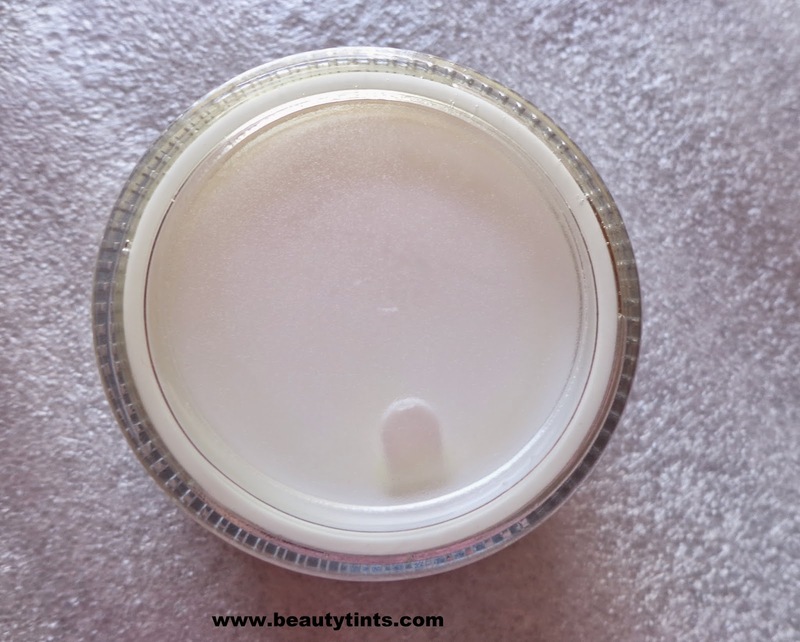 Conclusion : Overall,a good body butter which helps in hydrating the skin as well as in making it bright and radiant with all natural and stress relieving ingredients. 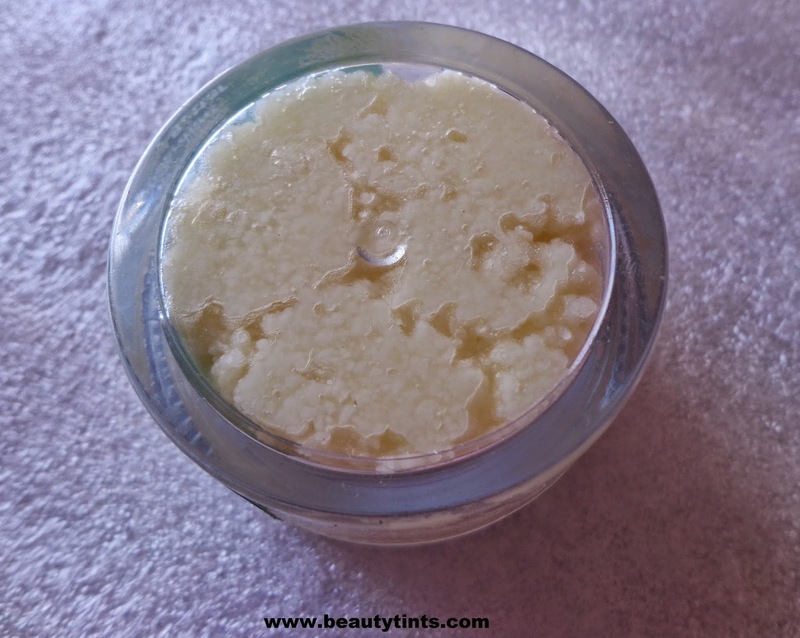 Also checkout the review of Navarasas Body oil here.